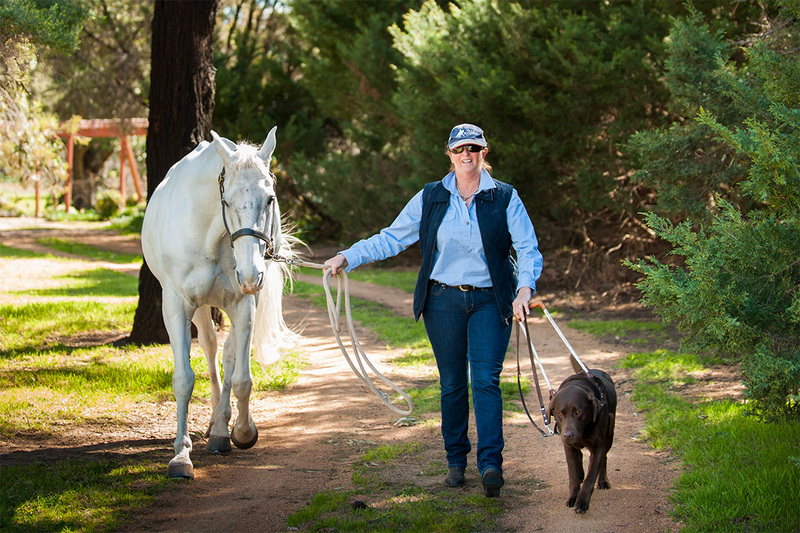 It’s not often that you see a Labrador leading a woman leading a horse but that’s just an average day for the unstoppable Sue-Ellen Lovett who is one of Australia’s most successful dressage riders. Sue-Ellen has no sight and is currently in the top 10 per cent of able-bodied equestrians in Australia. She’s been competing internationally since the 1996 Paralympic Games in Atlanta and in 1999, she was ranked 4th in the world.